You are a beloved child of God. He made you good and beautiful, in his own image and likeness. You are cherished by him, chosen by him, and precious to him. He desires your heart and longs for you to be intimately close to him. He doesn’t want your achievements and accomplishments; he wants you – all of you. His greatest joy, shared by the angels and saints in heaven, is when you turn to him with all your heart and receive his total and unconditional Fatherly love for you. If you are like me, you know those truths on an intellectual and theological level, but struggle to believe them and receive them with all your heart. In our more reflective moments, we painfully realize the magnitude of our sinful choices. We have damaged our relationships with God and others and self. We have become lost. There is, in the end, no denying that painful truth. In the menacing shadow of our sinfulness, we fear that we are no longer lovable. Like Adam and Eve in the garden, we hide from love and protect ourselves. We minimize our struggle and our pain in the presence of others and of God. In resisting vulnerability, we “safely” block out the love that is being freely offered to us. Then we end up feeling even more alone and unloved, and the cycle of sin begins anew. In the depths of our heart we yearn to be loved for who we are, but in our fear of rejection we dare not dream that dream. In the 300’s, Saint Gregory of Nyssa offered a profound reflection on the parable of the Lost Coin in Luke 15. Gregory has to be one of the most overlooked and underappreciated Christian authors of all time. He was an intellectual giant in the fields of philosophy and theology. In an age that was much confused about the Trinity, he offered keen insight into how it is possible for God to be an eternal communion of love, three persons yet truly one God. Others were thinking in terms of separate substances; he was thinking in terms of relationship and an eternal communion of love. He “got it” about God. He also really “got” the full truth of what it means to be human beings made in God’s image. He takes sin quite seriously, yet views our sinfulness as our condition. It is not who we are. It is not our identity. In our brokenness and distress, we tend to identify ourselves with our sins – but that is not how God sees us. We remain his precious children. The divine likeness that we bear is smeared and soiled, buried and hidden – yet remains what it always was. We are always God’s precious children. That is where the image of the Lost Coin comes in. We are made in the likeness of God. 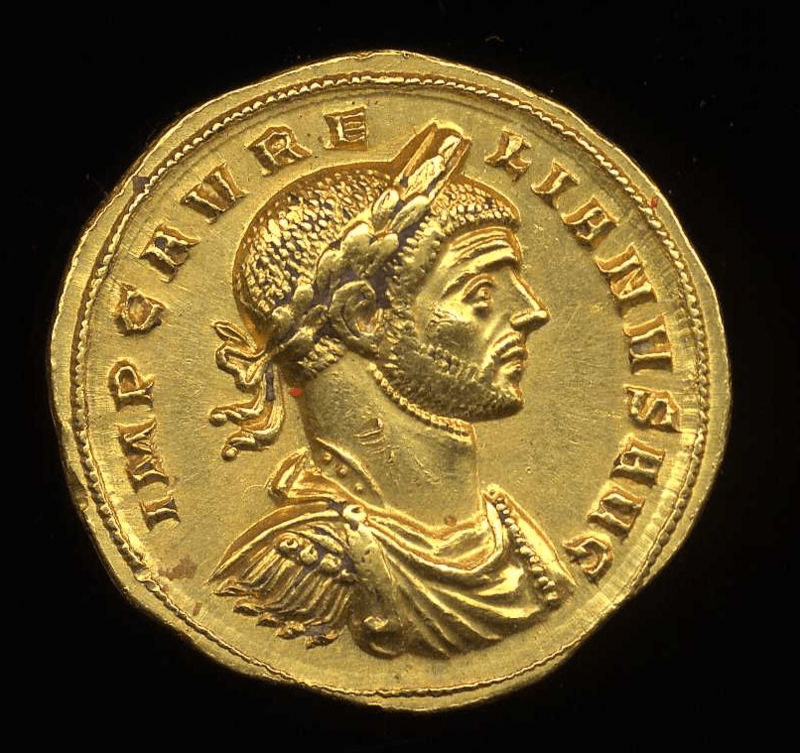 Just as a coin is stamped with the image of the emperor or king, so are we stamped with God’s own likeness. Just as a coin is made from precious metal, so are we made “very good” in God’s design. He entrusts us with a universe that is resplendent with truth and goodness and beauty. And we soil and tarnish it. By our own free choices, we choose lesser goods rather than real relationships, and we sully ourselves. Yes, the shiny coin held proudly in God’s hands chooses to slip out and dive deeply into the muck. In its outward filth and stench, the coin becomes lost and barely recognizable for what it is. Yet inside it remains what it always was. In the words of Jesus, “The Kingdom of God is within you” (Luke 17:21). Without the grace of Jesus, we cannot recover that lost coin, that inner goodness and truth and beauty that is yet within us. Like the woman in the parable, we can find other coins. We can do good and grow in virtues. We can achieve and accomplish and serve. But, unaided by grace and faith, that one coin will always elude us. Only when we light the lamp of faith and call on the aid of Jesus can we find that lost coin. Even though sin is secondary, its effects are very real. We will need the purifying grace to Jesus to cleanse the mire and filth that has covered over the coin. It can be quite painful to be vulnerable and surrender ourselves to that purification and cleansing. But then the inner beauty of the coin – always there and never really lost – shines forth once again. At its core it remains the precious metal that it always was. It has lost none of its true worth. It still bears the mark of the King of Kings. As Luke tells us, the angels and saints are eagerly cheering us on. There is more rejoicing in heaven over one sinner who repents than over all the others who (think they) have no need of repentance. The citizens of heaven yearn for those moments when the light of Christ breaks through, when we “come to our senses” like the prodigal son and surrender ourselves to our Father’s love. They erupt into joyful cheers when we once again believe the full truth about ourselves – that we are precious and beloved children of God, who belong in the house of our Father. Then the healing grace of Christ restores us, and his glory shines forth for all to see.